We previously announced that Disney was running an amazing campaign for donations to Make-A-Wish. 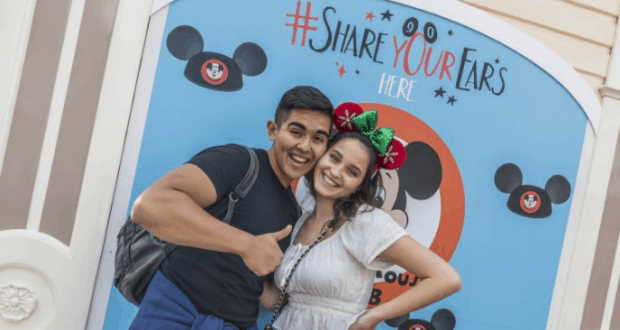 During the campaign, guests from all over where encouraged to share pictures of themselves and their loved ones with Mickey ears as part of the #ShareYourEars. Over hundreds of thousands of Disney fans participated and resulted in Disney donating US $3 million to Make-A-Wish. This amazing donation will make a huge different for many children and families all around the world. Disney has been working Make-A-Wish for many years. The cause helps grant the wishes of children with critical illnesses so that they can have special moments with their families. Currently, nearly 10,000 Disney wishes are granted every year with Make-A-Wish, helping wish kids replace fear with confidence, sadness with joy and anxiety with hope. Thank you to all who participated in the #ShareYourEars campaign to help raise funds for this fantastic cause! If you are interested in learning more about the recent campaign and great things that Disney has been doing to help, you can check out more details at ShareYourEars.org. This is probably the best news that we have heard all day!